In the biblical letter of 2 Timothy, the apostle Paul reflected on his passing life. It was but a vapor. He was a pilgrim, passing through this life and into the next. Moments ’til Midnight creatively peels back the curtain of Paul’s final hours. 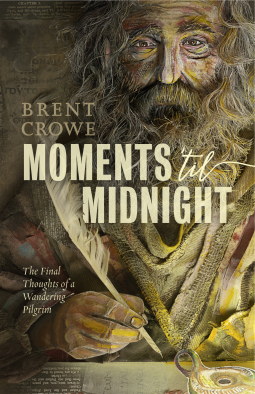 Author Brent Crowe imaginatively retells the last twelve hours of Paul’s life, from the perspective of the apostle himself. 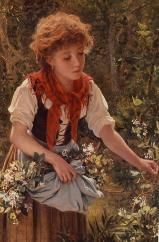 Along the way, readers will be encouraged to live with purpose, to redeem the time, and to embrace the awesome reality that they too are on a sacred journey. First, I have to say the advertising blurb (above) is misleading.Â Saying this is a retelling of the last hours of Paul’s life leads you (or at least led me) to expect a narrative in first person.Â That is not what this book is all about.Â If you are looking for a narrative work you will be disappointed. The content of the book, however, is not disappointing.Â Written specifically for young people, but also applicable for adults – particularly those new to a walk of faith – the author takes us on an exploration of some of the most significant themes of Paul’s writings.Â These themes are what author Crowe believes that Paul must have been reflecting on in his final moments of life. The writing style is somewhat light and very easy to read.Â The author applies a conversational tone rather than an academic tone to the work.Â There is a good balance of comparison and contrast.Â For example, the author talks about potential and why it is important and then he goes on to talk about purpose and why that is more significant than potential.Â I appreciate Crowe’s ability to say, here is something you should know, but also know that it isn’t the main thing you need to know. People who have been journeying with Christ for many seasons of life might not find anything particularly new or compelling about this book, but it is very well suited for its target audience. P.S. – I think the artwork on the cover is stunning!